We want to make sure you understand the benefits offered to you. That is why we offer you 24/7 access to important benefits information. Use the login on the left to access important information about your benefits. Having easy access to your payroll and employment information is important! View your paycheck, paid time off balance, request time off and update your personal information through Casey's ADP Vantage. 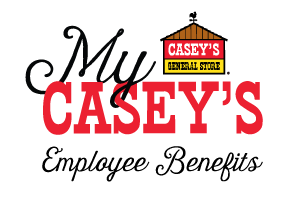 Click on the Casey's Vantage logo to the right to access your payroll and employment information. To access your Employee Dashboard, which includes your paystubs and employment information, click the Casey's Vantage logo below. The information included in this portal is a high-level summary of common benefits. For more details about your plans, please refer to your Plan Document, Summary Plan Description or Certificate of Insurance Coverage. The information in those formal plan documents governs. This site is provided by TrueNorth Companies. ©2019 Casey's General Stores, Inc.. All rights reserved. Powered by Touchpoints.